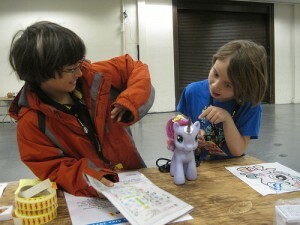 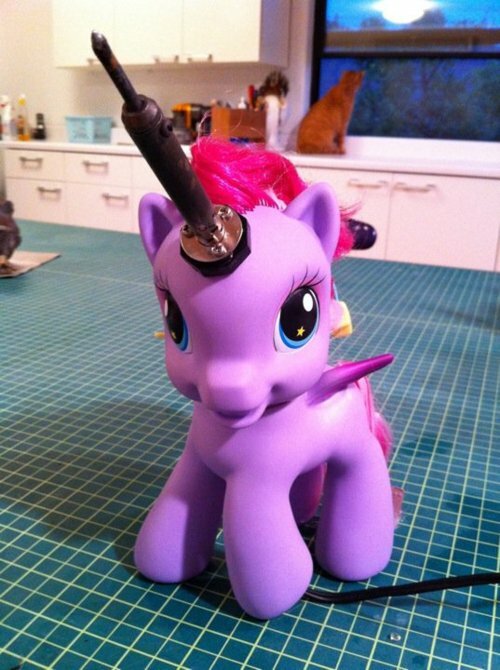 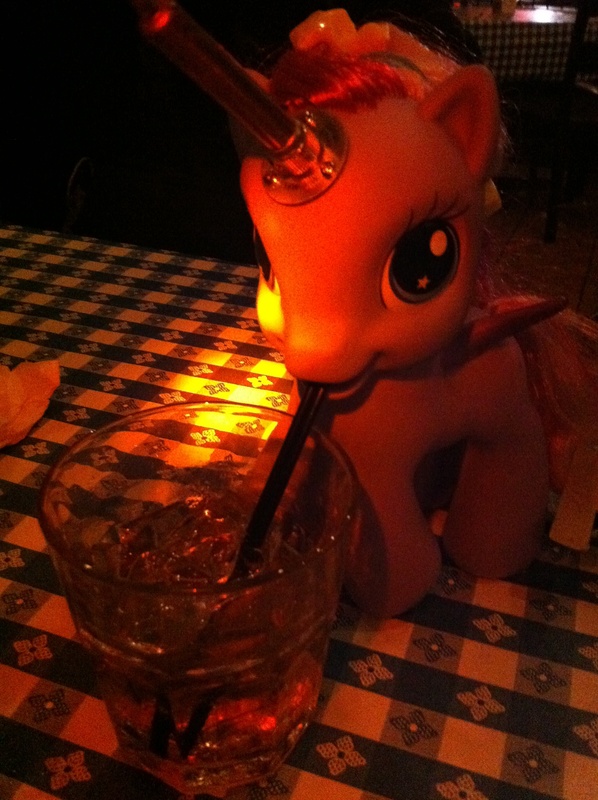 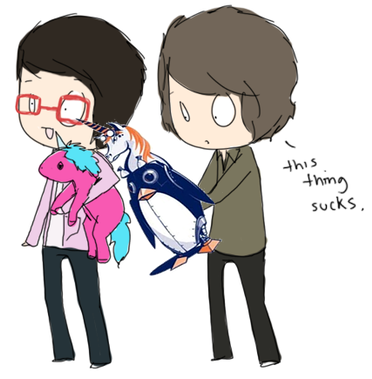 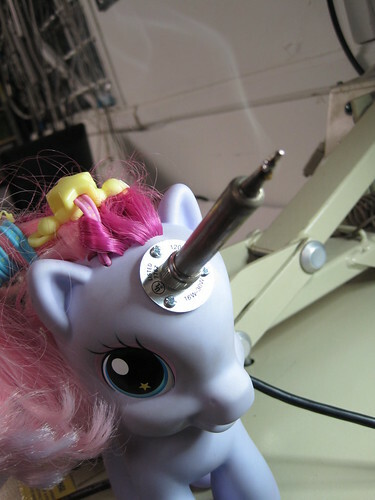 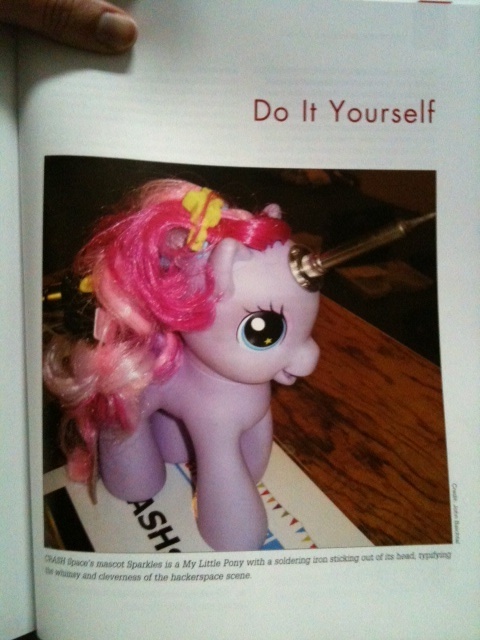 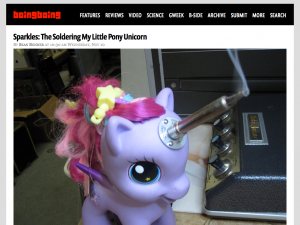 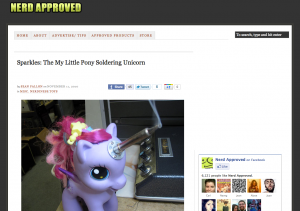 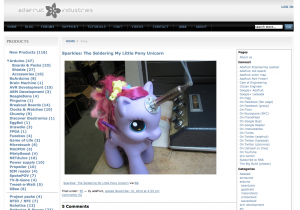 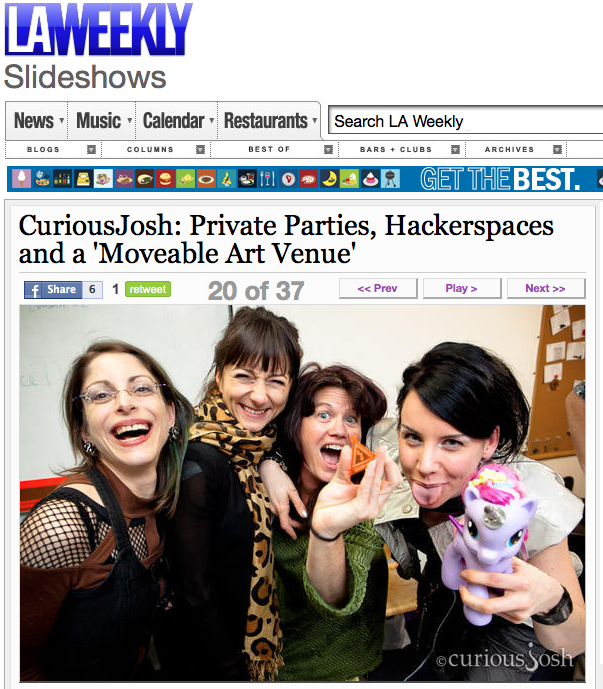 Sparkles, our hands-free soldering unicorn was made a one year ago today! 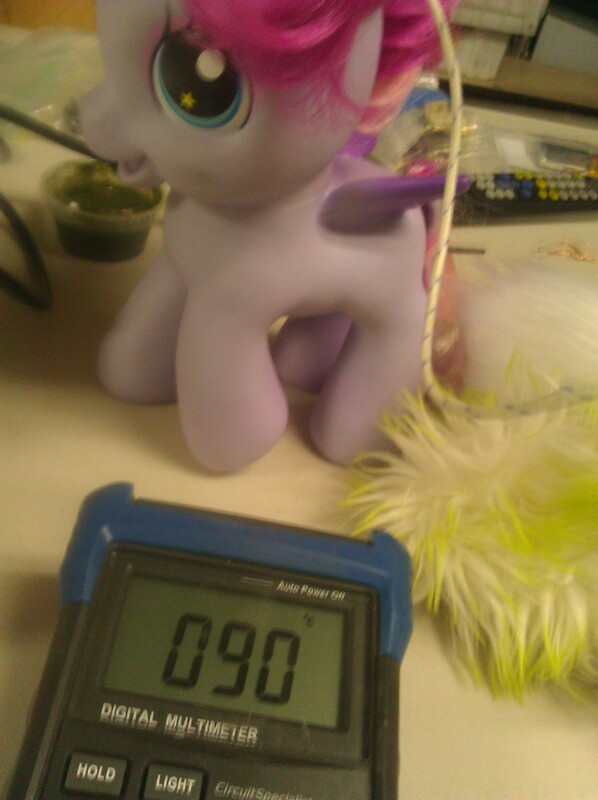 It would've be impossible to imagine how far she'd travel and how many would come to visit in our humble CRASHSpace. 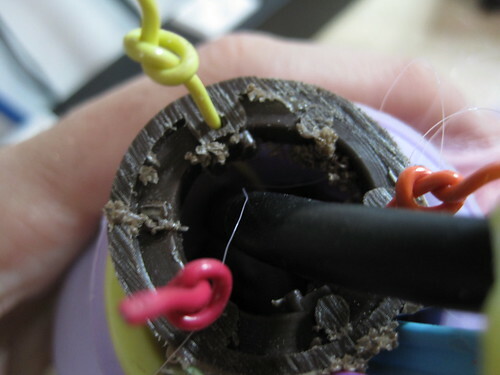 this hard plastic piece was sawed off the original soldering iron. 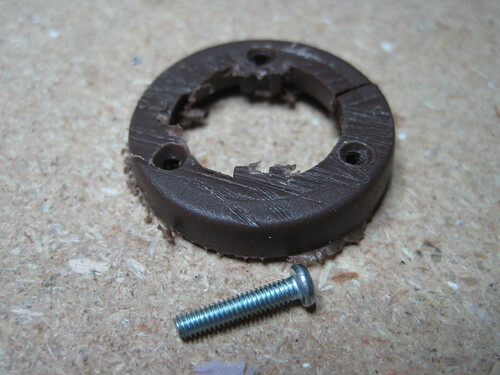 It was drilled, tapped, and counter sunk to serve as a backing plate for securing the soldering iron. 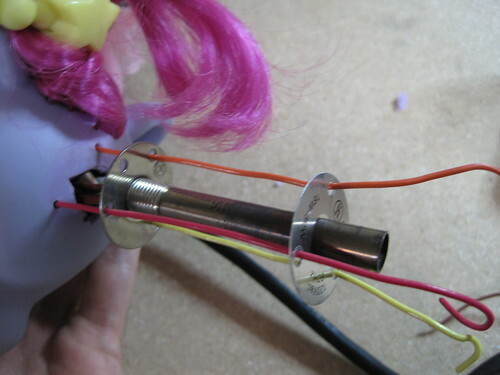 long wires were used to hold and align it as a backing plate while longer screws were put in place to better secure the soldering iron. 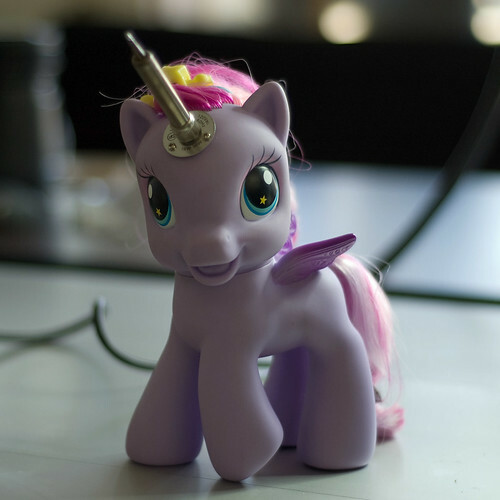 A horse with only a horn is a unicorn. 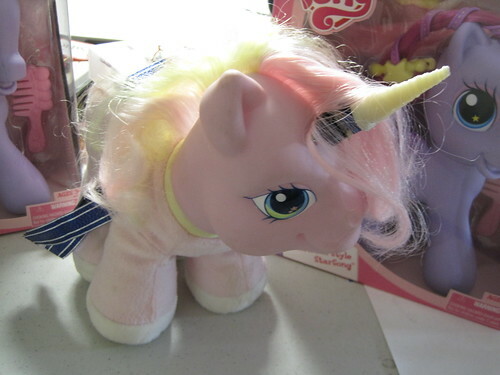 A horse with wings and a horn is an Alicorn.